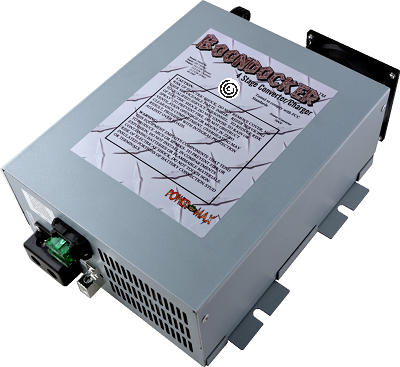 The Boondocker 1200L series converter/chargers deliver exceptionally clean AC to DC power and deigned to charge Lithium batteries. 45 Amp output adjustable between 12-15.5 VDC for total control of your voltage output. LED voltage display. Illuminated charger On/Off switch.